Lundin Petroleum​ AB (“Lundin Petroleum”) through its wholly owned subsidiary Lundin Norway AS announces the approval from the Norwegian Ministry of Petroleum and Energy of the Plan for Development and Operation (PDO) for the Brynhild field in PL148, located in the Norwegian North Sea. First production from the Brynhild field is expected in late 2013. The Brynhild field is located adjacent to the Norway-United Kingdom border, some 210 km from the Norwegian mainland. The development of Brynhild will be a three well subsea tie-back to the Pierce FPSO located in the United Kingdom, 38 km south of the field. The estimated gross reserves are approximately 20 million barrels of oil equivalents (MMboe) with net peak production of approximately 12,000 barrels of oil equivalents per day (boepd). The hydrocarbons will be processed at the Pierce FPSO before being offloaded for further transportation. 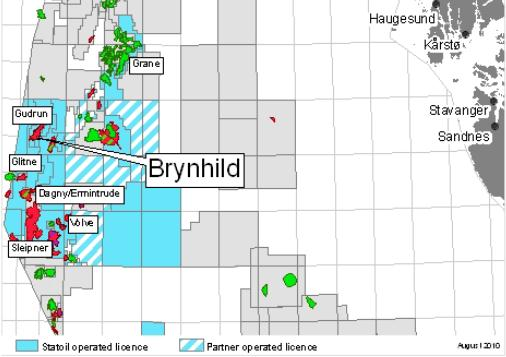 Lundin Petroleum has a 50 percent working interest in the Brynhild field and is operator. Partners are Talisman with 30 percent and Noreco with 20 percent. Lundin Petroleum is a Swedish independent oil and gas exploration and production company with a well balanced portfolio of world-class assets primarily located in Europe and South East Asia. The Company is listed at the NASDAQ OMX, Stockholm (ticker “LUPE”) and at the Toronto Stock Exchange (TSX) (Ticker “LUP”). Lundin Petroleum has proven and probable reserves of 187 million barrels of oil equivalent (MMboe). 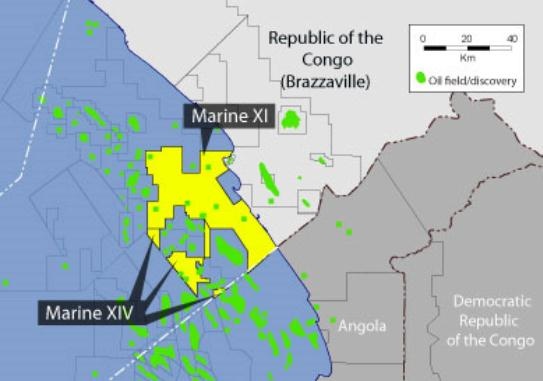 Lundin Petroleum AB (Lundin Petroleum) announced that drilling of the exploration well Mindou Marine-1, located offshore in Block Marine XI Congo-Brazzaville, has commenced. The planned depth is approximately 3400 metres below mean sea level and the well will be drilled by using the semi-submersible drilling rig ENSCO 5003. The drilling operation is expected to take 50 days. The well is targeting a pre-salt Toca formation carbonate reservoir within a combination structural and stratigraphic trap. This well will fulfill the Phase II drilling commitment on the licence and is the first of a two to three well programme on blocks Marine XI and XIV. Lundin Petroleum has an 18.75 percent working interest in the licence which is operated by SOCO International. Lundin Petroleum is a Swedish independent oil and gas exploration and production company with a well balanced portfolio of world-class assets in Europe, South East Asia, Russia and Africa. The Company is listed at the NASDAQ OMX, Stockholm (ticker “LUPE”) and at the Toronto Stock Exchange (TSX) (ticker “LUP”). Lundin Petroleum has proven and probable reserves of 187 million barrels of oil equivalent (MMboe).